Ecommerce is way more than just creating a website. Running an online store entails multiple processes and strategies. To grow and scale your ecommerce business you need to have proper systems and processes in place that can help streamline your operations as well as provide useful market insights to support strategic decisions. Springbord offers a range of flexible and customizable ecommerce solutions that are designed to meet your operational and scalability requirements. From catalog, taxonomy, product and price management to consulting, content writing, SEO and image processing, we help you manage your ecommerce business at every step of the way and drive increased traffic to your website. With multiple products to be sold across various channels, it is never easy to manage your ecommerce catalog. Ecommerce players usually have hundreds of SKUs to publish which often results in inconsistent and messy product data making it difficult and time consuming to efficiently manage catalog. Having said that, catalog management is critical to driving traffic, improving conversion, and retaining customers. Springbord offers complete ecommerce catalog management services that helps streamline and enhance product catalog management and allows you to focus on more strategic aspects of the business to drive growth and profitability. Springbord offers a wealth of benefits to small and medium-sized enterprises (SMEs). Combining years of experience in catalog management services we enable you to maintain consistent product catalogs that not only boosts sales of your products, but also offers a better shopping experience to your customers. We manage end-to-end catalog creations. This includes classifying products, creating appropriate titles, generating product information, constructing SEO-rich product descriptions, optimizing content, and collecting relevant images and videos. We standardize product information and metadata to support browsing, search, and merchandising. Our domain experts are skilled at building detailed product narratives, creating attribute sets and standardizing product information. All product descriptions we create feature complete information arranged in a user-friendly manner. We provide a complete image and video gallery to improve your customers’ experience. This includes offering alternate views of products gathered from manufacturers’ websites and trusted sources. These are then optimized for easy viewing to ensure customers are fully informed, gaining their confidence and enhancing satisfaction. Our experts have years of hands-on experience in creating and optimizing large product catalogs and delivering product data in consistently-designed, commonly-used formats. We also upload product listings into ecommerce platforms and marketplaces. Springbord enriches the product data for all the items in your catalog. We help you reduce costs and complexity in managing your digital content, while simultaneously enabling customers to search, engage, and buy products with supreme ease. Ecommerce is an aggressively competitive landscape characterized by dynamic pricing strategies to woo highly price-sensitive consumer base. We know that shoppers often make their buying decisions after comparing products and prices. Which means if your products are not priced optimally then chances are that you could be losing your consumers to your competitors. As an ecommerce player, you need to have competitive price intelligence to create an effective pricing strategy. Springbord’s online price monitoring services offer you complete visibility into competitors’ pricing information and possible price fluctuations giving you the opportunity to identify competitive and profitable price points for your products. Using our proprietary pricing intelligence tool, we automate the process of price monitoring. The tool helps capture, map, organize, and present most relevant competitive pricing information on a real-time basis. It also provides a recommendation report that determines whether you need to adjust your pricing methods to gain maximum competitive advantage. Besides, we chart, compile, and analyze pricing data, market movements, and even internal enterprise data. With Springbord’s product pricing intelligence and monitoring services you can create efficient pricing strategies to implement mark-ups and discounts based on market factors and product performance. We also assist you in remodeling your pricing strategies to maximize sales and bottom line. Given the popularity of image based social media platforms, even ecommerce sites are shifting more towards image-based layouts. Today image galleries and slide shows are a must-have for every article, blog, and marketing site. Considering the key role of images in attracting consumers, it is imperative to have the highest quality photographs to showcase your products. However, the challenge is, product image processing and editing requires professional expertise to ensure you have engaging visuals for your product. Springbord offers a complete range of online image processing and editing services for a variety of business and e-commerce needs. Combining our decade of experience and a team of recognized ISO certified experts in the image processing and management field, we offer unparalleled services. Springbord provides complete range of image manipulation, processing, enhancement, and editing services that is detail-oriented, quick and comes at an optimized cost. Whatever your photo and graphics optimization requirements are, we can help. From jewelry retouching, automotive, and accessories retouching, industrial machine image optimization, cosmetic products editing and optimizing, to enhancement of clothing and accessories lines, our team can handle any task quickly and efficiently. We offer quick, 24-hour turn-around time and employ a streamlined delivery process that takes the stress out of the job. We are also equipped to handle large, bulk orders as we process over 10,000 images every day. Using our image enhancement and optimization services can increase your leads by almost 95%. 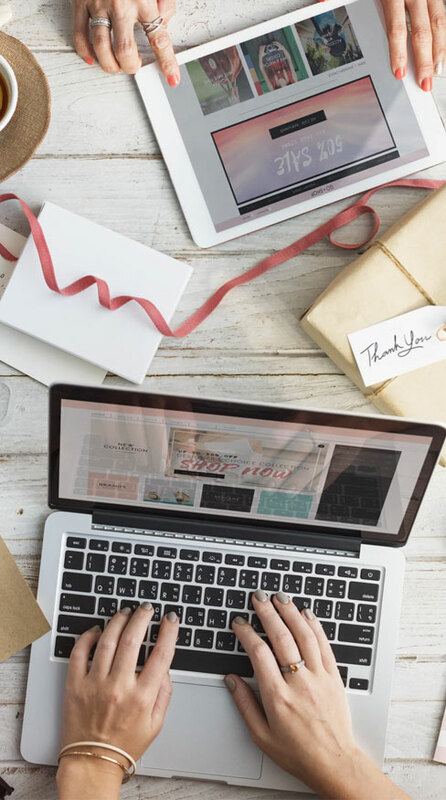 Quality content is key to improving your ecommerce site ranking across popular search engines, as well as providing an outstanding customer experience. Simply reproducing a product description drafted by the manufacturer will not only fail to gain required visibility online but can also negatively impact your ranking. Powerful and compelling content is the lynchpin of success in the digital world and we, at Springbord, understand its value like none other. Springbord’s team of experts have years of combined experience and expertise in writing professional ecommerce product descriptions. Keeping your audience in mind our seasoned product description writers create targeted and relevant content. Springbord consistently employs appropriate technical skills, right sales terms and tactics, and proper style and voice to appeal to your target audience. We ensure that the general tone of the product description remains positive throughout. Your products’ descriptions are perfectly crafted, unique to your business, and optimized for search engines. Utilizing right keywords and meta-tags in appropriate density we ensure higher ranking for the website and greater click-through rate. At Springbord, we deliver completely original, compelling and engaging product descriptions that guarantees both enhanced website traffic and your ranking in Google and other popular search engines. Intensifying competition in ecommerce market is compelling sellers to expand onto additional online channels to drive growth and gain market share. However, selling across multiple platforms is a complex process. Lack of experience and expertise to effectively manage the entire ecosystem of marketplaces right from listings to sales often restrict sellers’ ability to boost sales across online marketplace. To combat these challenges, Springbord offers marketplace managed services that help sellers launch and manage inventory across online sales channels effectively. Our team of experts bring in years of experience in dealing with the most popular marketplaces, enabling them to help you seamlessly sell on multiple marketplaces and grow your business. Springbord’s comprehensive portfolio of ecommerce marketplace management services makes us one stop shop for all your marketplace management requirements. We help optimize our clients’ marketplace performance on a monthly basis as well as expand onto newer platforms at an affordable cost. We have experience in managing popular channels like Amazon, eBay, Rakuten, Newegg, Walmart, etc. and we follow industry best practices to ensure channel optimization. Optimizing product feed as per marketplace listing requirements. Identifying the most relevant and profitable keywords, creating keyword rich title, 5 bullet points, detail description, specification of the product and optimizing the image according to the marketplace standards. Using appropriate template, we add inventory information and save data in tab-delimited text file format. This text file is then uploaded for processing through Upload Multiple Items option in the Manage Inventory section from Seller Account. In addition, uploading product using product API further eases the onboarding process, ensuring quick turnaround. We edit product images to meet marketplace standards related to resolution, size, number of images and image quality to ensure seamless and quick product listing. We manage inventory using automated process that enables us to update the stocks, restock products sold and also ensure all the inventory information are available including UPC/EAN/ISBN, title, price, and quantity. We create informative, engaging and compelling product descriptions supported by keyword-rich product listing and visually appealing product images and detailed product specifications. Using competitive keywords and implementing amazon algorithm requirements we help boost your page ranking and ensure that your product appears at the top of the search result page. We search and identify a wide range of most profitable keywords and sub-keywords to ensure your product is visible for every related search, generating traffic and boosting sales. We help manage PPC, SMM, SEM campaigns enabling you to reduce advertising cost of sale (ACOS) and boost product ranking, improving campaigns’ results and ROI as well as generating sales. Amazon ranking algorithm is based on sales and reviews. We help you manage reviews for the sold items from the customers as per Amazon’s T&Cs, thereby improving product ranking and visibility. Keeping a close watch on the market and competitors is critical to gaining and retaining customer in an aggressively competitive online retail space. Retailers need to continuously improve their mix of merchandise in order to keep pace with rapidly changing customer preference. That is why product assortment has emerged to be a key function in expanding market share and customer reach, optimizing inventory planning and management while reducing cost of acquisition. Ecommerce players are increasingly shifting their focus on more customized data driven approach in benchmarking and planning product assortment to stay competitive. Comparative analysis of your catalog with your competitors allows us to identify products/product combinations that are doing well and are missing from your catalog. Assess and identify products or brands that are unique to your catalog and are not on offer by other players and optimize pricing based on the product/brand’s demand and availability. Benchmark your product assortment/s across multiple combinations and dimensions – on features, category, or brand level – based on your target areas to help you make smarter and unique product assortment decisions. To learn how we can help you design a competitive product assortment, please get in touch with us and we will be happy to assist. Springbord brings years of data management experience and solid industry expertise that enable us to manage and simplify complex ecommerce management services. We equip you with relevant tools and business intelligence, enabling you to manage and grow your business.